To shield your Westminster, Colorado, home from the punishing winter weather, you need the right siding. This is why Scottish Home Improvements wants to work with you as your Westminster siding replacement experts. We can show you the many siding options that will help you save money on energy and maintenance in the long run, and we can design a siding for your home or business that you’ll love. More and more homeowners are discovering why fiber cement James Hardie® siding works for Westminster, Colorado homes as an excellent protective and aesthetic option. James Hardie® Fiber Cement Siding will withstand the worst that winter can bring and is protected by an industry leading warranty. In fact, with little maintenance, your fiber cement siding will continue looking beautiful year after year. It’s perfect for home or commercial use. This type of James Hardie siding offers Westminster property owners literally thousands of style and color combinations to choose from. Having such a vast selection at our disposal means that we can recreate the current look of your home, or design something new and fresh for your house. In any case, our team is comprised of experts who can help you make key decisions on your fiber cement siding purchase. We will also provide you with a design service where we can take pictures of your home, and impose different images of your siding options so you can see exactly what your siding will look like before we even begin ordering your materials. This means you can feel completely confident with your investment. 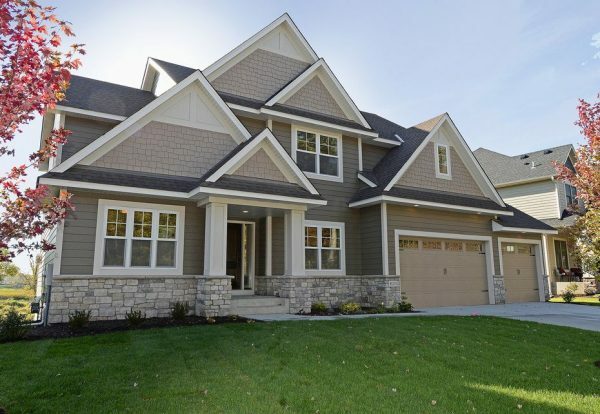 Fiber cement siding is a wonderful choice for properties in the Westminster area, but Scottish Home Improvements offers an even greater selection of siding options for Westminster homeowners and business owners. Below, you’ll read about just a small portion of the many siding products we have available. Many people in the Westminster area also love the look of James Hardie® Vertical Panel® stucco-styled siding. While it looks similar traditional stucco, James Hardie’s panels resists the chipping and cracking that often plagues average stucco installations. For its greater durability and unique aesthetics, stucco siding options fit Westminster homes and businesses well. Vinyl siding is an excellent choice for renovating your home on a budget. Vinyl siding is low cost and low maintenance, which makes it perfect for Westminster rental properties, apartment communities, and more. At Scottish, we carry a variety of vinyl siding styles and colors for you to choose from. If you’re looking for an alternative to traditional wood siding, LP SmartSide is the way to go! LP SmartSide is made from a durable material that looks just like wood but performs much better under heat, moisture, and extreme weather conditions. If wood siding is truly the option you’re seeking, Scottish will be happy to install wood or cedar siding for your home. Our partnerships with industry leading manufacturers gives us access to high grade wood and cedar siding products. We’ll work with you to craft a look for your home that you absolutely love. Another great service we office at Scottish Home Improvements is beneficial if you already have wood siding installed on your home. We can provide a sealant product that will help strengthen your wood siding, lower your maintenance costs and efforts, and help this product last longer. Feel free to give us a call if you have any questions about our wood seal siding options for Westminster properties. For your home or commercial space, you may find that steel siding is a good option. It’s certainly affordable, and has a modern, industrial feel. However, steel siding options protect your Westminster property from harsh sunlight, high wind speeds, and freezing precipitation, lasting longer than most other siding options in extreme conditions. Stone accents are a very popular choice for modern style homes in Westminster. When combined with wood siding or stucco, stone accents can truly make a home look stunning. At Scottish, we partner with Sunset Stone, a local siding manufacturer, to provide our clients with the finest stone siding available. As much as we stand behind our siding replacement services and products, we also understand that a property owner’s attachment to their property’s present aesthetic or a desire to stay under budget for their siding project might have them looking to repair their siding rather than completely replace it. When this happens, you can count on Scottish Home Improvements’ siding repair services for your Westminster residence or business. We utilize a plethora of siding choices to repair your current siding, matching the visual aspects of your exterior appearance using a range of colors and materials without sacrificing unique details like stone or wood accents. In this respect, we are able to craft a cohesive siding repair for your Westminster home or business’ exterior that melds seamlessly while supplying renewed protection. Scottish Home Improvements holds an A+ rating with the Better Business Bureau, as well as a gold star for great customer service, which means you can feel comfortable putting your siding project in our hands. Give us a call or send us an email for answers to any of your siding questions, or if you would like to set up an on-site consultation. We provide free consultations and free estimates for all of our services while evaluating your home or business’ current siding setup. We can’t wait to get started on adding high-quality siding to your Westminster home today!